Classic Mexican tote bag in printed nylon design day of the dead. Handmade. Assorted colors. 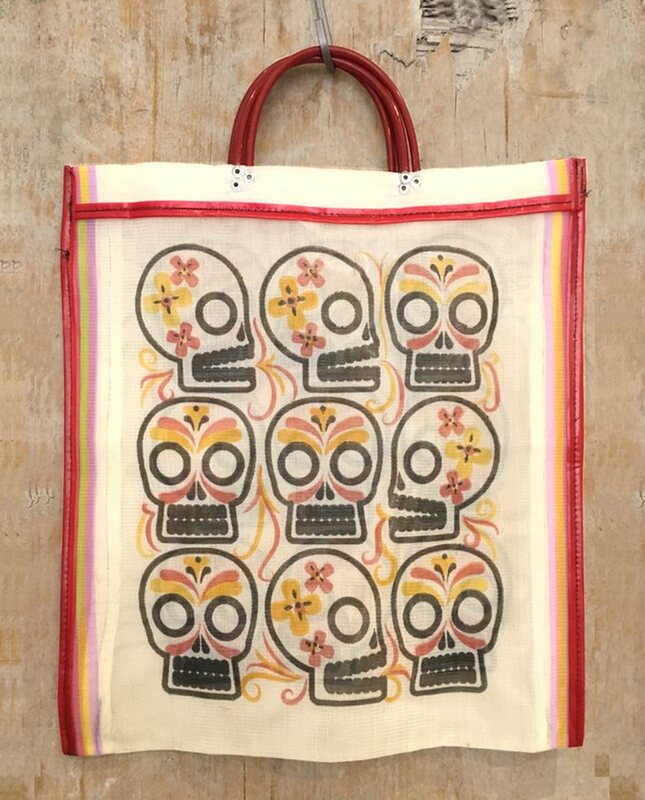 Classic Mexican nylon shopping bag with short sleeves printed with motifs of the Day of the Dead. Handmade, very durable and washable. Opening up to 10cm wide. Assorted colors. SKU: FA 2214 Categories: Bags, Fashion accessories Tag: Vivan Los Muertos !